Lou Loves Beauty: The Balm | Available on the Highstreet!! The Balm | Available on the Highstreet!! This is a quick post to tell of you some very excited news I just found out! 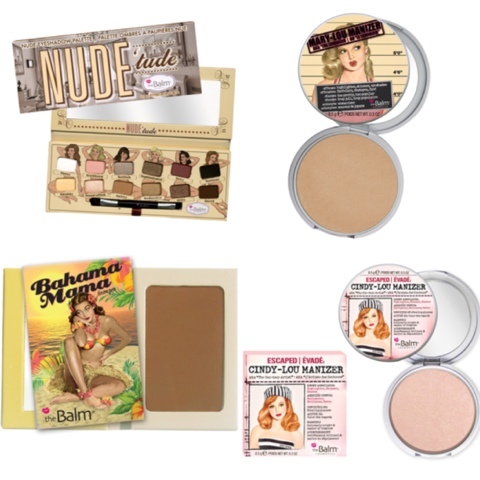 The Balm Cosmetics is now available at Superdrug, yes Superdrug!! There is only one store (The Cardiff Beauty Store) that has the brand in stock but they're all available to buy online from the Superdrug Website, with free delivery over £10 too. Perfect! I don't know about you but I think this is super exciting and my only worry now is, what products do I get first??? Are you excited that The Balm is now more readily available to us here in the UK? What's your favourite product so I know what to put on my shopping list? I went in the other day to check the new Superdrug out and came across these! It's an amazing shop layout anyway but this just made it even better! Love Bahama Mama, a great bronzer for contouring and is perfect for eyes too! oooh! I could put money on it that my local Superdrug won't stock it though, I'll have to go to a bigger one! Does any superdrug stores stock the balm in leeds?